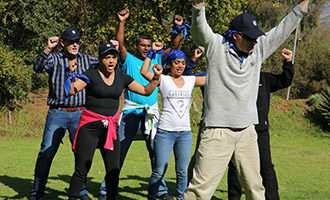 This is a high energy outdoor activity where delegates are grouped together. 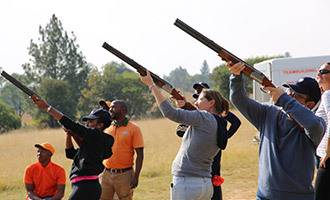 Tactical navigation is required to get through the course and avoid being shot by your colleagues. This is a great way for you to release unnecessary stress at work. 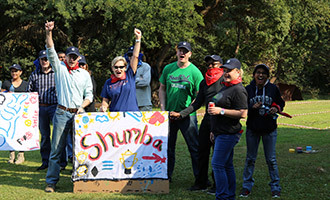 A fantastic way to just get out of the office to build some Camaraderie, or end-off a conference. 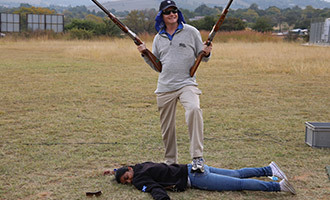 We do have overalls to protect your clothing, but old clothing and comfortable takkies/boots are recommended. It is highly suggested to wear thicker denim type clothing. 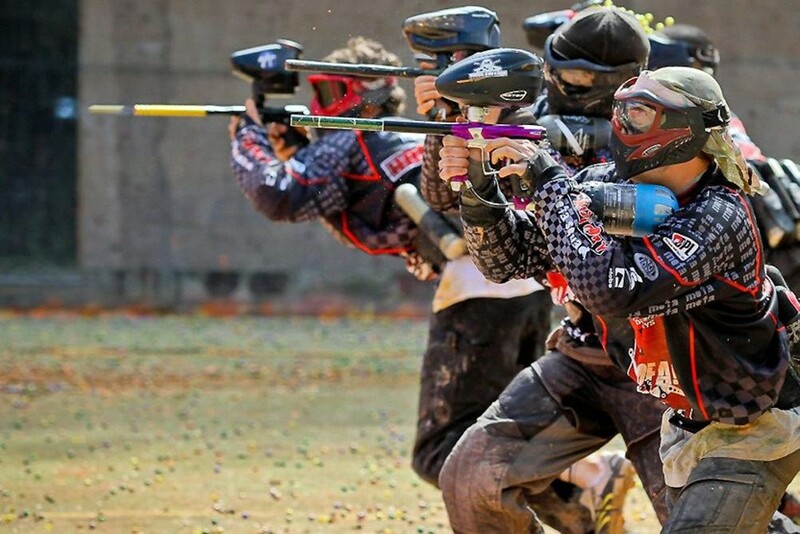 All protective gear together with guns and paint is supplied for the duration of your game. 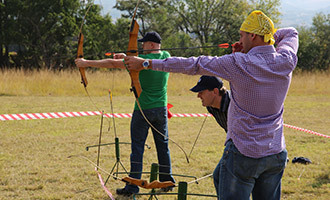 This is not just a teambuilding offering, its perfect for a bachelors or birthday party. 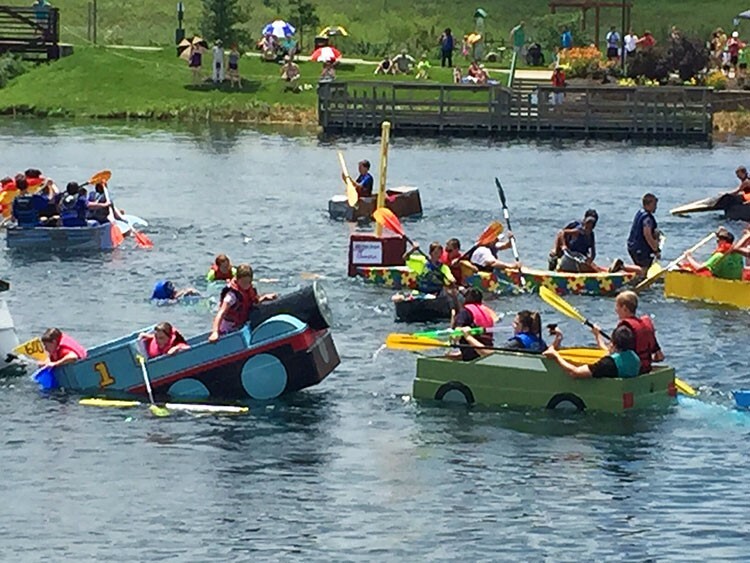 Your delegates are broken up into teams where they need to come up with a boat building plan. We provide you with all the materials necessary to make your floatation device and its up to you to choose your finest captain, crew, first engineer and maintenance manager. Scoring is time based. This activity is enormous fun. We do recommend that the delegates crewing the boats can swim, however life jackets are provided for all attempting the dam crossing. We have our own dam, so taking part in this is now made easier, however we can offer this to you at a venue of your choice that has access to water. 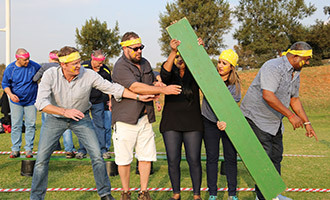 This activity is a FUN way to get staff to work together on a project they have never embarked on before, in the work place as well as at the event. The winners walk away with the Trophy as well as bragging rights for the year. You can make this your annual event and keep a plaque board up in the office to record the title holders! 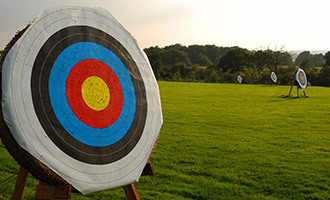 We all know the basics, bow, arrow and a target that looks like a collection of multi coloured circles. From there it starts to get a bit more challenging, it is not an Olympic sport for nothing. 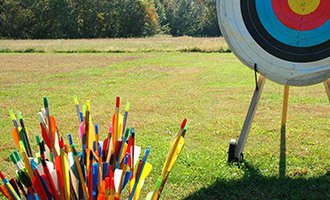 We will have instructors on hand to show you the basics on how to safely handle the bow and where to aim. 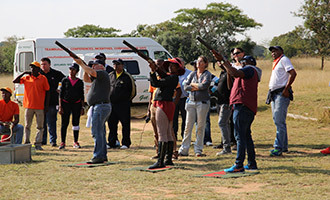 Once everyone has had a chance to try their hand at this exciting sport, we divide the group into teams and run a team competition. 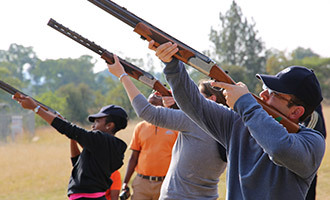 The team competition is followed by an individual shoot out, which is fun to participate in and watch. 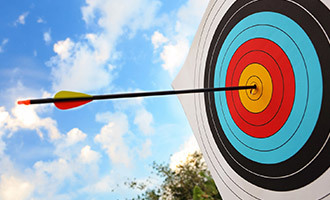 When you hit the bull’s eye we share the achievement and if you miss we will all have a laugh together and help you improve your next shot! By the end of the session you will be making allowance for wind and distance to keep in touch with the competition. 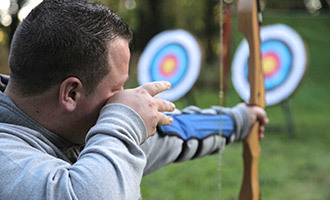 Archery is a great, easy & fun event that everyone can master quickly and leave having had an excellent experience. 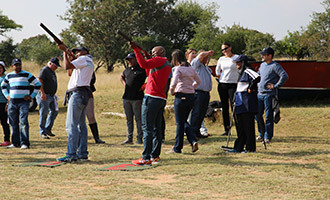 This event combines infrared beams and computer technology with the classic sport of clay pigeon shooting. 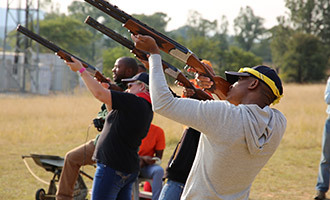 A trap launches clays at various speeds and angles and up to 5 people are able to shoot simultaneously with modified over and under 12 bore shotguns which have been modified to fire laser beams at the clays in a perfectly safe environment. Each person gets two shots. A computer then determines within one thousandth of a second the order of hitting the clay. 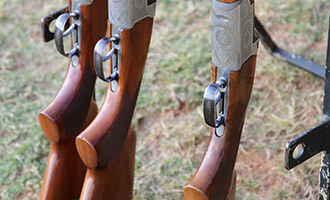 An indicator on the shotgun also gives instant feedback to the player so they know if they hit the clay or have missed! Spectators are able to follow the progress on the electronic scoreboard. 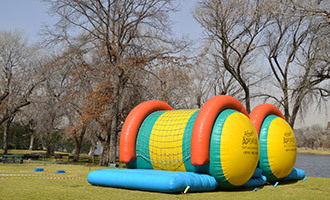 It can be played at most venues by people of all ages during the day for fun, or as a competition. 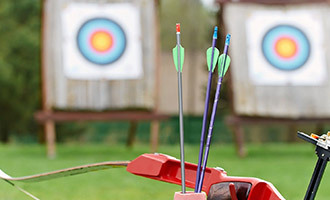 There are a variety of different games, which vary in difficulty and can be customized to suit the players. 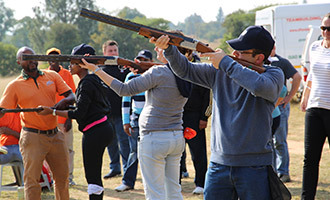 Laser Clay Pigeon Shooting is not harmful to the environment. The guns fire harmless infrared beams at reusable clays. The sound is computer generated with adjustable volume. 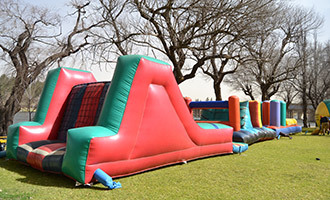 Inflatable Sports & Events is a giant colourful obstacle course, providing great spectator value and participation excitement. We provide a powerful sound system contributing to the carnival atmosphere. 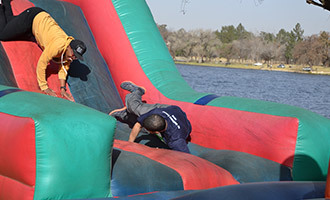 Teams of participants compete against the clock, as they have to make their way through the obstacle course. 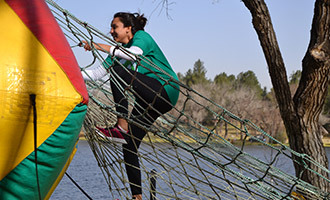 The obstacle course has something for everyone and physical strength and fitness is not a per-requisite to be able to participate. We have various programs which can be “toned” up or down depending on the individual or group. 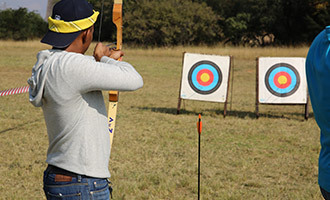 We will divide the group into teams of about 6 – 10 people in each team. 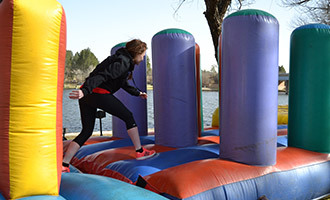 These teams will then compete against the clock as they make their way through the obstacle course. 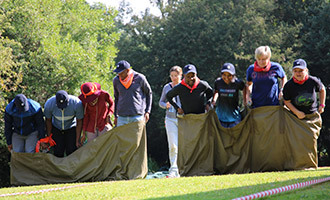 Each team gets to go through the course twice and then the teams with the fastest combined time get to go through to the final. 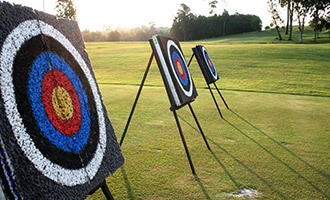 Choose five, seven or nine challenges from a wide selection of activities and design your own customized event. 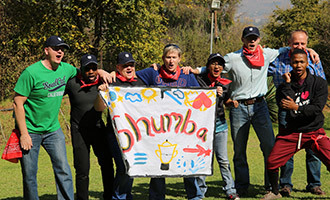 On the day of the event your group will be divided into teams. Each team will create a flag and an anthem. 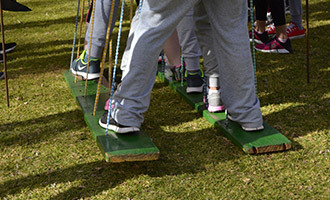 The teams will then rotate between the challenges every fifteen minutes. 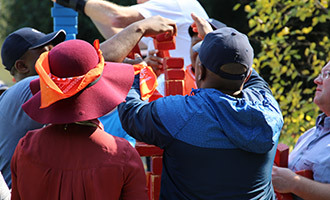 Points are awarded to the teams according to the positions in which they finish. 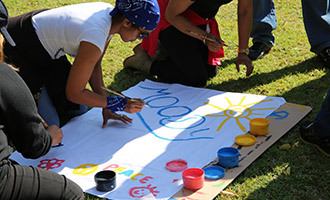 Teams have thirty minutes to create a team identity, which must include a war cry, team name and a team flag. 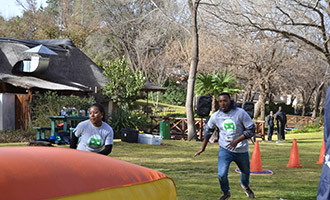 The teams will then rotate between the challenges where they will compete against each other. Each challenge lasts for 10 to 15 minutes. 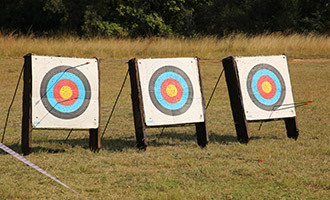 Points are awarded to the teams according to the positions in which they finish. 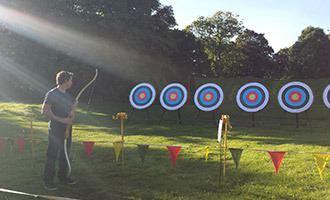 A fantastic, fun filled event and is a great way of getting your delegates outdoors and participating. Sight, sound, touch, and taste will all be put to the test, not to mention keeping your eyes open along the route. 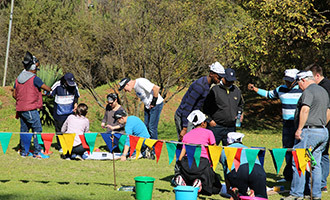 With the help of a compass and cryptic clues, teams have to navigate their way through the route. 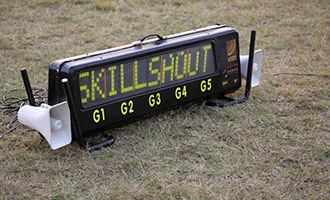 Tablets are used as a tool for audio task identification and video cameras are provided to film the various tasks through-out the day. This ensures not only continuous stimulation but an entertaining viewing at the end and insight into other team’s strategies! 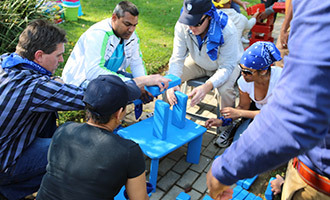 The course includes four stops, at which the teams will complete various tasks. 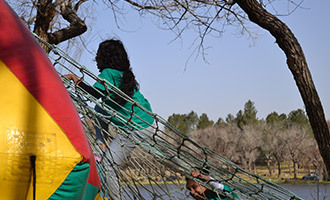 Different challenges will be provided to keep the teams active throughout the duration of the program. 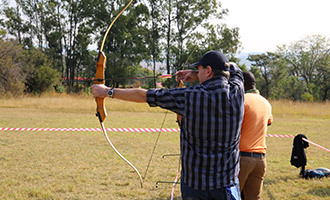 Activities will include: Key Grab, Marble Maze, Laser Clay Pigeon Shooting, Archery (If Archery and Laser Clay are not available, they will be substituted with Katty Shootout). This activity is the ideal balance between mountain bike skills and off-road adventures. 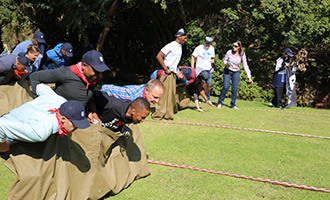 This exciting event can serve as a teambuilding experience or a fun bonding event. 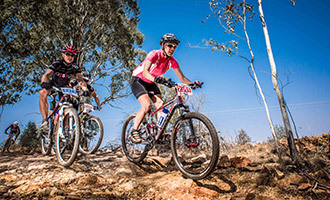 Venue specific and participants to use own mountain bikes.